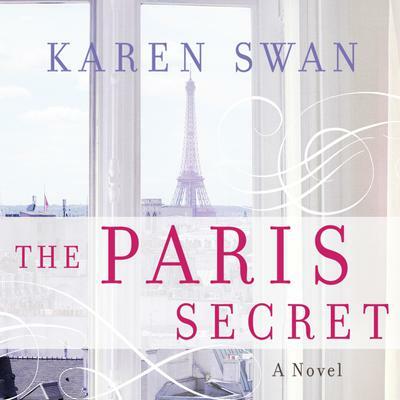 When high-powered fine-art agent Flora Sykes is called in to assess objets d'art in a Paris apartment that has been abandoned since WWII, she is skeptical at first—until she discovers that under decades of dust the treasure trove of paintings is myriad...and priceless. The powerful Vermeil family to whom they belong is eager to learn more and asks Flora to trace the history of each and every painting. Thrown into their rarified world, Flora soon realizes that there is more to this project than meets the eye, and, as she researches the provenance of their prize Renoir, she uncovers not only a scandal surrounding the painting but also a family secret. The fallout places Flora in the eye of a storm that carries her from London to Vienna to the coast of Provence, but Xavier Vermeil, the brusque scion of the family, is determined to separate her from his family's affairs...in spite of the attraction that propels them together. What secrets is he trying to hide, and what price will Flora pay to uncover the truth? Karen Swan began her career in fashion journalism before giving it all up to raise her three children and a puppy, and to pursue her ambition of becoming a writer. She lives in the forest in Sussex, writing her books in a treehouse overlooking the Downs. Her books include Christmas at Tiffany's, Summer at Tiffany's, The Perfect Present, Christmas in the Snow, Christmas on Primrose Hill and The Paris Secret.